We have visited many countries with our three kids and one of the most kid-friendly is definitely Malaysia! And part of this is because there are some absolutely fabulous Malaysia kid-friendly resorts. From days spent at the beach to exploring the jungle to all the fun of Kuala Lumpur, you can find the best resort in Malaysia for family in many towns and cities. In this article, we have our picks for the top 13 family resorts in Malaysia. Simply pick where you want to stay – whether that’s in a family beach resort Malaysia or if you’d prefer the best family hotels in Kuala Lumpur, Malaysia – and then find the corresponding family-friendly resorts Malaysia which match with that destination below! If you are still working out where you want to visit in Malaysia, read our list here of the top places to visit for inspiration! Perfect area for preschoolers to let off some steam! The Westin Kuala Lumpur is one of the best places to stay in Malaysia with kids if you are looking for city accommodation. This luxury, 5-star hotel is perfect for families looking for a central hotel which is kid friendly and awesome! It’s a short walk or taxi ride to KLCC (Kuala Lumpur City Centre) where you can find shopping, huge parks and many KL attractions, especially some great family ones like the aquarium and Petrosains Discovery Centre. The hotel itself has many room types including one bedroom and two bedroom suites which are perfect for families who want some space. There are day beds and rollaway beds that kids can use. The hotel’s facilities includes a pool and kids club (extra charge). There is a kids corner in the breakfast room as well. The location is fabulous and its hard to find a kids club in Kuala Lumpur. It is a pricier option for the suites but this is a five-star hotel in Kuala Lumpur. This is a great choice if you want a central, great hotel in KL with kids club and great rooms. The Berjaya Times Square Hotel is one of the best family accommodation in Malaysia. It is one of our favourite places to stay anywhere and we have stayed here five+ times! This is because it’s a good hotel with great facilities and family-friendly rooms and it’s also got a FABULOUS location. The Berjaya Times Square Hotel is located on top of the Berjaya Times Square which is a huge shopping centre with over 1000 shops, restaurants and many things to do within its walls. This makes a stay here just perfect for families – you are only ever a very short stroll from tons of eating options and things to do as well as services like a medical centre (we have visited it – quick, easy and cheap!). The shopping centre has some fun things, like a piano staircase and the second largest indoor theme park in Asia. You can also watch a movie or go bowling. There is a cheap and easy hawker centre on the basement level and many other fabulous eating options. It also has a monorail station so getting around is easy. The hotel itself has the biggest city hotel pool I have ever seen as well as two kid pools and a playground. Photos don’t do it justice. There is a gym and multiple eating options. The rooms are also great for families with the standard, cheapest room being a studio that is like a one bedroom apartment with separated living and bedroom areas, a kitchenette and bathroom. Young kids can sleep on the couches and there are also rollaways (at an extra fee) and cots available. The superior rooms are also a good and a little bigger than the studio. We have also stayed in a premier room which is lovely but we prefer the studio thanks to the separated living/bedroom areas and think this works best for a family. For more space, the two bedroom apartments are the best option. You can read more in our full review of the Berjaya Times Square here. The family friendly rooms, the huge pool and the fabulous location on top of Berjaya Times Square. It’s also a very good price for what you are getting. The hotel is showing its age in some of the rooms. If you are looking for a hotel with everything you need right underneath and family friendly rooms at a great value price, this is a great option. The Sunway Resort Hotel and Spa is a great choice for families in the Kuala Lumpur area looking for family fun in a whole world of entertainment and activities. Located in Petaling Jaya, which is right next to Kuala Lumpur, this hotel also makes a great alternative to Kuala Lumpur on an airport stopover. It is closer to KL Airport than Kuala Lumpur itself. It’s also easy to spend a few days just exploring the whole Sunway world – this hotel is located by Sunway Lagoon, a massive, fun theme park, and the big shopping centre, Sunway Pyramid. We have done just that and had fun going to the cinema, ice skating and shopping in Sunway Pyramid and spending a full day at Sunway Lagoon. 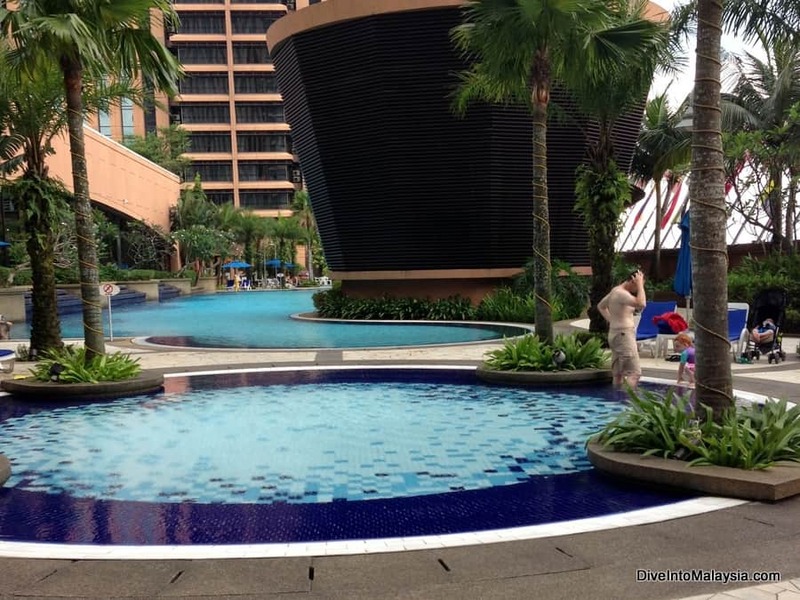 The Sunway Resort Hotel also has its own facilities with a massive swimming pool and restaurants. There are many eating options in Sunway Pyramid so you will be spoilt for choice. There are no family rooms as such, but you are allowed to have two kids in your room and can pay extra for an extra bed. You can also request connecting rooms (what we have done). 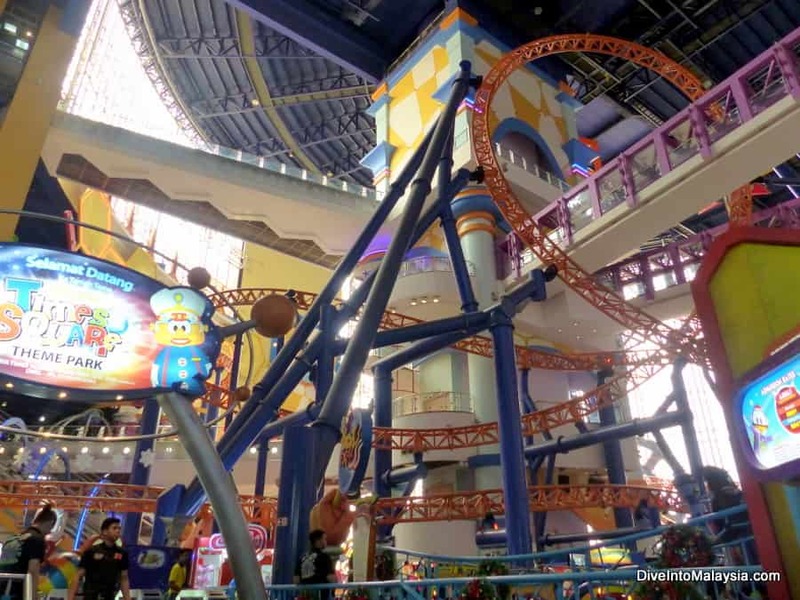 The proximity to Sunway Pyramid shopping centre and Sunway Lagoon theme park. There is a lot to do without leaving here. No purpose-designed family rooms. Not in Kuala Lumpur itself. This is a great choice for families wanting a fun break where everything they want to do is right there. It makes a good alternative to Kuala Lumpur for a few days stopover. The Golden Sands in Penang is a beautiful, family-friendly hotel Malaysia. Located at one end of the popular Batu Ferringhi beach, this resort is easy to reach and very well located. In minutes, you can be at the night market and among many restaurants and shops. And, of course, you have the beach right out the front. The Golden Sands is part of the Shangri-La brand so expect quality. However, this is also a very family friendly resort, so expect it to be more relaxed than the Shangri-La Rasa Sayang next door. It has won prizes for being one of the best resort for kids in Malaysia. There are many fun and practical facilities here so you don’t need to ever leave if you don’t want to. It is home to an awesome Malaysia resorts kids club located in Adventure Zone. Adventure Zone is a “play land” with some very adventurous slides so it will appeal to both young and older kids (including parents!). You can also visit here as a family if you don’t want to use the kids club. The best part of this resort is definitely the huge outdoor pool area between the hotel and the beach. There are many pools and a water playground area called Splash Zone. There is also a family activities program to enjoy and pool and foosball tables, tennis courts and beach volleyball all located in the big pool area. It’s all a lot of fun. There are two restaurants, two lounges and a great breakfast buffet. We loved having lunch by the pools! There are a range of room types. Most come with king or two single beds plus an additional sofa bed or a single bed that pops out of the wall (my kids loved that!). When we travelled here with two young kids, one of these rooms worked nicely. Cribs are available. With older kids, they have connecting rooms and I recommend two rooms. I also recommend getting a sea view. You look out over the ocean as well as the resort’s facilities. The rooms are on the simpler side but functional and have extras you would expect for a four-star hotel. There is a turndown service in the evening which included a room tidy. I find this such a bonus when travelling with kids. The location is great and the facilities are fantastic. The rooms could be bigger and nicer and it would be great if they added some rooms specifically for families with two or more kids. Overall, this is a very easy, fun and nice resort to hang out when in Penang. It’s the best located of the resorts in Penang and I highly recommend it. Penang is home to some great family-friendly Malaysia resorts with kids club and the Holiday Inn Resort Penang is one of our favourites. Well located in the central part of Batu Ferringhi on the beach, you don’t just have access to the beach but also a big pool. There is a good restaurant and you will be tempted to eat here a lot as kids eat free with their parents. There is not one but two kids clubs at the Holiday Inn Resort. One is better suited to preschoolers and one for older kids. There are many things to do and our kids enjoyed it here, but we did find the staff did nothing but watch. The best part about this resort, however, are the family friendly rooms and this Holiday Inn Resort really excels here. There are purpose built family rooms with themes and kids areas. You can choose from a family suite or kids suites. The new kids club, amazing family rooms and one of the best locations in Penang. The pool was not clean on our last visit. Hopefully, this was an anomaly. The staff at the kids club did not put in any effort to play with the kids. This is a great choice of family accommodation in Penang if you want a great location and really family friendly rooms. The Hard Rock Hotel Penang is another great, family-friendly hotel in Penang which brings the quality Hard Rock brand to everything it does. Located directly on Batu Ferringhi beach, this hotel is a little bit of a walk (or shuttle) ride from the main action of Batu Ferringhi. There are some restaurants and shops in the surrounds, however. There are a huge range of room types here with some really quality options for families. The Roxity Kids Suites are the best option and come with separate sleeping area for the kids complete with playstation, toys, books, their own minibar and kids’ room service menu! The courtyard option also gives a private outdoor play area for your kids. These rooms are one of a kind. The facilities at this hotel are also perfect for families with not just a kids club, but a teens club and infant club too! This means kids of all ages have a great space to hang out and/or play! The outside area is even better. There is a huge pool lagoon area complete with a very good water playground. There are often live music and activities out here too. You can easily spend whole days relaxing here! The high quality of everything – the rooms, the outside pool area and the kids clubs. It’s a bit removed from the main Batu Ferringhi area. There are no room options for families bigger than four. This is one of the best family resorts in Malaysia and a great choice for your Penang stay as long as you don’t mind being a little away from the action. The Andaman Langkawi is our personal pick of the best family beach resorts in Malaysia. We love it here! It has been one of our best family breaks anywhere! This is a great choice of a kids friendly hotel Malaysia if you want to be somewhere secluded where you can relax while there is plenty for the kids to do without needing to leave the resort. The Andaman is somewhat isolated on Langkawi so this isn’t for people who want to be out and about all the time. Where The Andaman excels is that it is such a gorgeous location. Its surrounded by rainforest on a private, beautiful beach. Settings don’t come prettier than this. The resort is well set up to take advantage of its surrounds and you can go on rainforest walks and learn about the rainforest. You and your kids can also learn about the water with a special coral nursery constructed by the resort after the Boxing Day Tsunami wiped out much of the local reef. This is a great place for the kids to have their first snorkel as well. The kids club here is just superb. We loved that the kids didn’t just play inside but were taken to many of the resorts facilities and had lots of learning experiences. It’s great. There’s a wide choice of rooms including our favourite executive pool suites. Here you have your own pool on a private terrace as well as a bug suite with two rooms plus a big bathroom. It is a great size for a family of four. Click here for more information or read our full review here. There are many other facilities including a huge pool with a water slide and four restaurants. There are plenty of food options (which are labelled for any dietary preferences) and your kids are sure to find something they love to eat. The gorgeous location, excellent kids club and the great rooms. This resort is somewhat isolated so its for people who mostly want to hang out at a resort. Overall, this is one of our favourite family resorts in the world. It is just gorgeous and it’s great being able to have a private pool and a kids club that provides a great holiday experience for the kids as well. The Meritus Pelangi Beach Resort & Spa is a contender for the best hotel for kids in Malaysia thanks to its great facilities, family room choices and its central location in family-friendly Langkawi. This hotel is in a great spot in the main beach area of Langkawi, Pantai Cenang. This means you can be in the centre of things in minutes with many eating and shopping options. It can be hard to be somewhere central while still on a great beach with plenty of space and facilties for kids but the Meritus Pelangi Beach Resort & Spa ticks all these boxes. There are a range of room types including two family room choices. As you would expect for a 5-star hotel, there are many facilities including two outdoor, free-form swimming pools and a great, dinosaur water play area with slides for kids. There are also a gym, sauna, squash, mini-golf, tennis, archery and bicycle rental. Your kids will also enjoy the kids club especially in the mornings when they can feed animals in the resort petting zoo. There are two restaurants, a lounge and a pool bar. You are also just a short walk from many other eating options. And, of course, you have a beautiful beach to enjoy. The great facilties, beachfront and central location. The family rooms only have a king and a single bed. An extra bed can be added for an extra charge. The Meritus Pelangi Beach Resort & Spa is the perfect choice for families looking for a family-friendly resort in a central location in Langkawi. The Four Seasons Langkawi is a jungle-cloaked island resort tucked away within an UNESCO World Geopark. With a private 1.8 kilometre beach stretching along the Andaman Coast, it is a quiet, family-oriented retreat. Getting there is easy, with the resort being only 20 kilometres from the Langkawi International Airport. Accommodation is provided in either one-bedroom Malay-style villas or pavilions and can accommodate up to 8 people (depending on room type). You can have either garden or sea views with some including a private pool or direct beach access. The three-bedroom family villas can fit up to six adults and two children and have multiple indoor-outdoor lounging areas, two bathrooms and a private pool. Kids will love the wide range of activities here. The daily program for children aged 4 to 12 includes batik painting, safari cruises, treasure hunts and kids’ yoga. For teenagers, there is archery, rock climbing, henna tattoo design and many other exciting options sure to keep them smiling. For some family time together, attend a cooking class, go kayaking or kite-flying on the beach. There is almost too much to choose from! 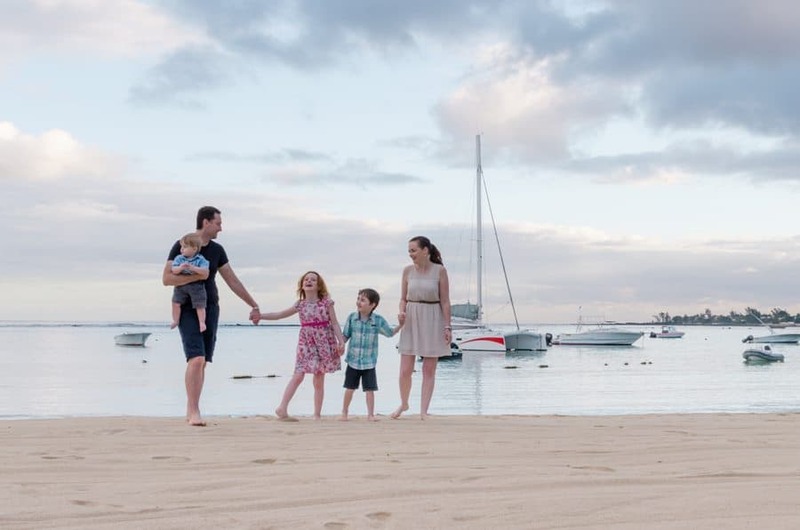 For the parents, the opportunities for adventure here are endless: from snorkeling to birdwatching and to mangrove safaris to island-hopping and golf. Take a walk through the rainforest or spend a lazy day on the private beach, doing as much or as little as you’d like. Instead of the usual restaurant meal, let the resort cook up a BBQ feast to enjoy on your villa’s patio or beach, and then hang out around the bonfire to roast marshmallows and shoot the breeze. Restaurant choices include a casual family restaurant, traditional Malaysian or an open-air dining room. Enjoy a drink at the resorts bar to wind down after a hard day. The Four Seasons offers a wide range of exciting family activities both on- and off-site. It is a very large resort so it will take you some time to get from one side to the other. However, there is a buggy service to help get you around. The Four Seasons Langkawi is only 20 minutes from the airport and surrounded by both the jungle and beach along the Andaman Coast. There is plenty of fun activities here for your next family getaway. The Avillion Port Dickson is another resort we highly recommend for families. We have had a great time here on multiple occasions. Located on the coast at one of Port Dickson’s best beaches, the Avillion Port Dickson has gorgeous over-water chalets on offer. I was initially unsure whether this would be safe with kids but we worried for nothing and the novelty is as fun for kids as it is for adults. The chalets are perfect for families as they also have a day bed in them as big as a double bed which is a great place for the kids to sleep. They are also some of the cheapest over-water chalets I have come across anywhere so that is a huge bonus especially as the rest of the Avillion is also awesome for families. There are also room options on land if this is what you would prefer. The resort has some fantastic pools. One is adults only but your kids will prefer the family one with the water slide anyway. There is a petting zoo which is great with younger kids. They can feed and pet the animals every morning. The outside in general is great with beautiful gardens, signs to give information on the different plants and facilities and many small attractions like a butterfly patch and spice farm. There is also a little playground and a kids’ room with activities. It isn’t a kids club as such as you can’t leave the kids, but there are activities and staff to help. Some are free and some are an extra charge. There are also family movies twice a day and easy access to the beach. There are multiple restaurants as well. The food is reasonably priced but it does get a bit boring after a few days. Thankfully the resort is next to a night market which is a great alternative for dinner. The beautiful over-water chalets and the many attractions in the gardens especially the petting zoo. The kids club isn’t supervised. If you want a beach break from Kuala Lumpur, are looking for somewhere on a KL stopover (this resort is a short drive from KL airport) or just want a really lovely break, the Avillion Port Dickson is hard to beat. We love it here! Nowhere in Malaysia is there a cooler resort for kids than the Legoland Malaysia Resort! This lego themed resort is going to delight all kids (and adults) interested in lego or young enough to love any type of theming. Located on the same site as Legoland Malaysia, you are definitely not going to get bored. This is a short drive to Johor Bahru and Singapore and is for people wanting to explore the theme park – I would not recommend it as a base to explore the region. However, even if you are somehow not interested in the theme park itself, I think you will still love a night here! The best part is the rooms. They come in a choice of themes and sizes with most built with families in mind. You can have a pirate, kingdom, ninjago or adventure theme. Rooms have two separate sleeping areas – one for adults with a king-sized bed and one for up to 3 children with bunk bed, pull-out trundle bed and their own TV. They will love their special space (as will you!). The best facility here is obviously Legoland Malaysia. This theme park is great especially for younger kids and kids who love lego. There is also a water park. For hotel guests, there are lego activities and events throughout the day from meeting lego characters to dance parades to nightly movies. There is also a swimming pool, lego play area and puzzle activities to unlock secret treasure in your room! There is also a lego themed restaurant. This hotel is crazy fun for families with great rooms, activities and facilities. It’s a distance from other local attractions. If you want an experience your family will absolutely LOVE, stay here! It’s my top pick for family fun in Malaysia. For families looking for a great option in east Malaysia resorts, you can’t beat the Shangri-La’s Rasa Ria Resort & Spa. It is a beautiful tropical retreat set on a pristine stretch of Pantai Dalit Beach and is surrounded by 400 acres of tropical rainforest. Book the kids into a family room, which are Malaysian-themed in either the Garden or Ocean Wing. The accommodation is in a fabulous location between the beach and the rainforest which provides fantastic views of the beach or the surrounding rainforest. When it comes to resort activities, there is so much here for the kids to do. There’s even a club for the kids! The little ones can have a go at coconut bowling or enjoy the Sundown Games in the swimming zone. For the little animal lovers, they can help the rangers look after the animals in the resort’s care. And there is even a Family Fun Day on the weekend! If you can drag the kids away from the kids club, take them to the resort’s Nature Interpretation Centre at the entrance to the Nature Reserve. Here, you can meet Borneo’s wildlife, including several species of endangered animals. There’s a good variety of food to choose from too for those fussy eaters. The on-site restaurants serve Indian, Italian even teppanyaki which is always fun for the whole family. There is so much to do here for families, and having a kids club gives mum and dad a good break too. With so much to do for families, this is a popular resort and can tend to get a little crowded during peak seasons. Shangri-La’s Rasa Ria Resort & Spa is the perfect choice for families wanting a luxurious getaway in Malaysia. Shangri-La’s Tanjung Aru Resort & Spa, Kota Kinabalu, Kota Kinabalu, located just 10 minutes from the city, promises a tranquil retreat in an idyllic beachfront setting for the whole family. This tropical resort features a variety of contemporary-styled rooms and suites inspired by the rich colours and textures of Borneo nature and offers captivating views of the ocean or the impressive Mount Kinabalu. Kids will love the bunkbeds and child-friendly furniture that are in the family room along with their special welcome pack. At the resort, the kids will love the mini water park with waterslides and water battle stations with water balloon launcher. There are SO many activities available for the kids to do; the kid’s club ‘Cool Zone’ is open every day and has a packed timetable of things to do, including a themed party every Friday night. Now that the kids are occupied, the adults can go swimming in the outdoor pool, go golfing or get a massage at the CHI Spa. For a quiet breakfast, you have to go to the breakfast bar; it has an outdoor play area for the kids. At dinner time, you’re bound to find a restaurant at the resort that will suit everyone’s taste, even the kids; with choices from Italian to Chinese, to beachside BBQ and or a seafood dinner. And for dessert, you can’t go past a visit to the ice cream bar! Once the kids have gone to bed, the adults can finish the day with a Sabah Golden Sunset Cocktail at the Sunset Bar. Plenty of family fun activities, particularly for the kids. The resort is also located in a stunning beachfront location yet only minutes from the city. Some guests claim that it can get busy over the weekends given day passes are available. The Shangri-La’s Tanjung Aru is a gorgeous beachfront resort just minutes from the city and full of activities for families. What’s your top pick of where to stay in Malaysia with kids? Looking for the best beach resorts in Malaysia? Read our list here. Or you can find our list of the overall best resorts in Malaysia here. Still planning where to go? Read our list of the best places to visit in Malaysia here.